← What Happened to Our _____? It Was Here a Minute Ago. 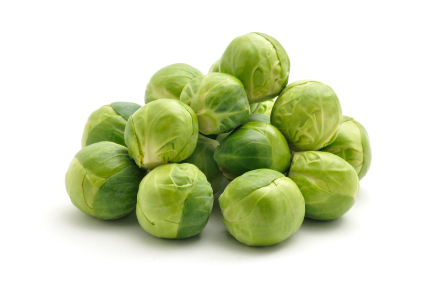 Who Wants Brussels Sprouts for Thanksgiving??? What you’re probably not thinking about is food safety but every year newspapers publish articles about how to make sure your turkey is properly cleaned, vegetables washed, food cooked adequately and leftovers stored properly. If you haven’t seen one of those articles, well, here you go! Read the Sacramento Bee article. At Intelleflex, we think about food safety every day as food safety and quality is a main focus of our business. We work with growers, grocers and distribution companies to help them make sure that the food you buy at the store is fresh and of high quality. In fact, after you’ve worked at Intelleflex for a while, you can never look at things like a clamshell of strawberries or a bag of spinach the same way! As the Food Safety Modernization Act begins to be implemented, we’ll see even more news about food safety in the year to come. So, from all of us here at Intelleflex, a safe and happy Thanksgiving to you all. **I actually love Brussels Sprouts. Just wash them thoroughly, peel the leaves off, saute with some bacon and toss in some chopped pecans and garlic. This entry was posted in Perishables and tagged Food safety, Food Safety Modernization Act, FSMA, temperature monitoring, traceability, track and trace. Bookmark the permalink.